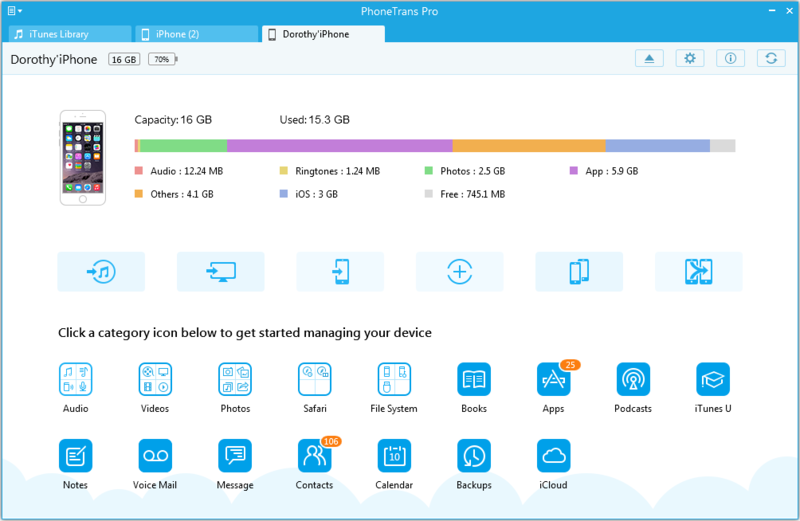 PhoneTrans Pro enables you to copy all of your iPhone contents to another iPhone, including Music, Playlists, Movies, Ringtones, Voice Memos, TV Shows, Music Videos, Home Video, Voice Memos, Camera Roll, Photo Library, Photo Stream, Albums, iTunes U, Notes, Message, Contacts, Calendar, Call History and App. 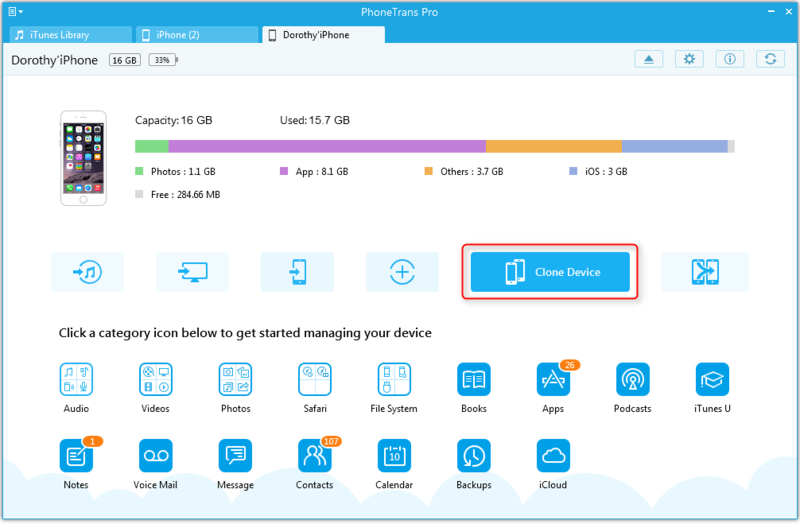 By using the clone feature, you can move all data reserved on your old iPhone to new one. 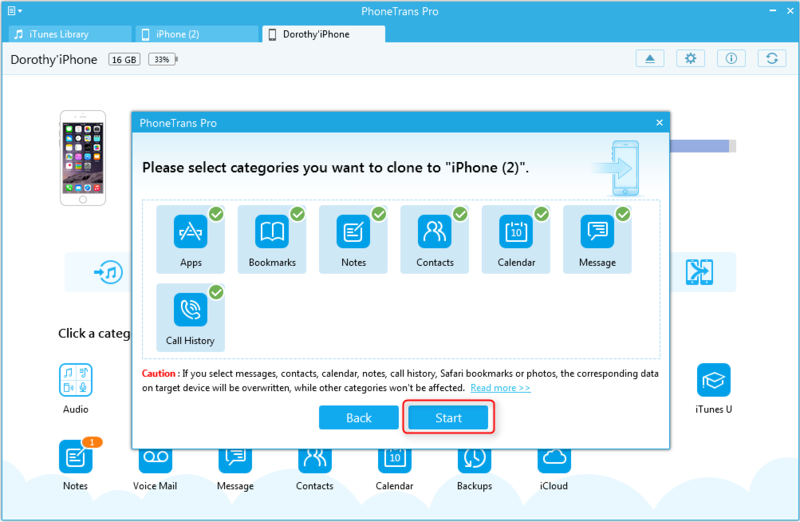 Step 1: Connect two of your iPhones after launching PhoneTrans Pro. Then, you will see the main interface. If PhoneTrans Pro can’t assess to your data within several minutes, please click this button to refresh manually. Step 3: Pick up the data you want to clone. Later, you will start to the clone process.